The Rotary Centre for the Arts’ Annual Fundraiser “GALA FOR THE ARTS” is coming soon. Gala for the Arts is our signature fundraising event in support of Youth Arts Education Programming. With over 10,000 youth coming through the building annually, there is a constant need for funds to deliver programs for all. The Thomas Alan Budd Foundation again presents this fresh event filled with Island Music and exciting ports of call on November 19th. The red carpet is being rolled out, so put on your creative formal wear and support creativity and expression in the arts. We think you will love this year’s theme as you enter the building and become immersed in a tropical evening filled with entertainment and tantalizing food and drink. Expect to have all your senses stimulated with the walkabout format and exciting themes showcasing diverse entertainment and allowing guests to mingle and have fun. The whole building will be open offering many “ports of call”. 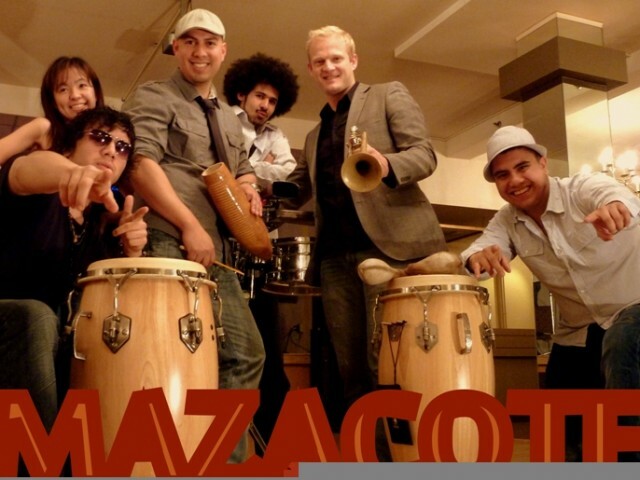 Enjoy dancing to the captivating high energy Latin band, Mazacote. This exciting 6 piece band with sizzling brass, hot percussion and great vocals, will bring together the rhythms of the Caribbean and Latin America! Polynesian Dancers will shake things up with full tropical expression. The Anna Jacyszyn Trio will be featuring the fabulous Stu Goldberg on piano in the jazz lounge upstairs and Kinshira Performance Troupe will have plenty of roving visual appeal and surprises throughout the night. Stu Goldberg will finish the evening with beautiful jazz styling as you enjoy dessert and conversation. The performers are chosen to give an authentic tropical feel with entertainment available in every room, akin to the diversity that a cruise ship would provide! Enjoy fine Okanagan food and wine as well as casino games and a photo booth. Our Martini Bar will feature the “Spirit Bear” line with the support of Urban Distilleries. We’ll have a short and exciting rapid fire auction with auctioneer Mike Odenbach from Western Star Auctions. Bid on unique one of a kind items like: Holiday Park Resort Annual Week of Timeshare Ownership in a Luxury 1 Bedroom Vacation Condo. Join emcees Andy & Tj of 101.5 EZ Rock for a full evening of fun. The ship sails at 7PM with a maximum of 600 guests so catch the tropical breeze and get your advance tickets now! Who thought supporting the arts could be so much fun?